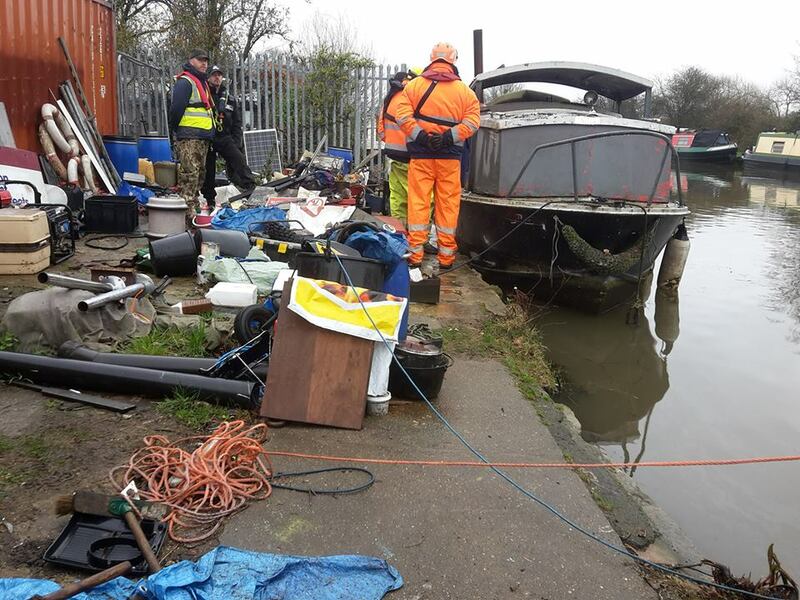 Canal & River Trust seized the boat of a 67 year old pensioner on 27th March 2018, leaving the man and his dog homeless. The charity towed the man’s home away from the River Lea in East London. The boat is likely to be destroyed. Canal & River Trust is currently attempting to re-brand itself as an organisation promoting well-being. However this incident demonstrates the charity’s total failure to safeguard the well-being of vulnerable boat dwellers. In contrast, the boating community in London have rallied round to lend another boat for the evicted pensioner to stay on temporarily; found storage space for his tools; and started an online appeal to buy him another boat which has raised £1,600 so far. The evicted boater, known as ‘Slow Tony’, is described as a “mechanical wizard” who has helped many other boaters with repairs and maintenance. His own boat required alterations to pass the Boat Safety Scheme examination in order to renew the licence. He was trying to earn the money to pay for the examination and alterations by working on other people’s boats. He did not manage to earn the required sum quickly enough to prevent the charity seizing his home. “It is appalling that a vulnerable pensioner, who should be retired, was put in a position where he has to go out to work to try to avoid being evicted, and that he was made homeless despite trying very hard to avoid his boat being taken” said Pamela Smith, Chair of the National Bargee Travellers Association (NBTA). “The conduct of Canal & River Trust’s enforcement staff is a disgrace” she continued. 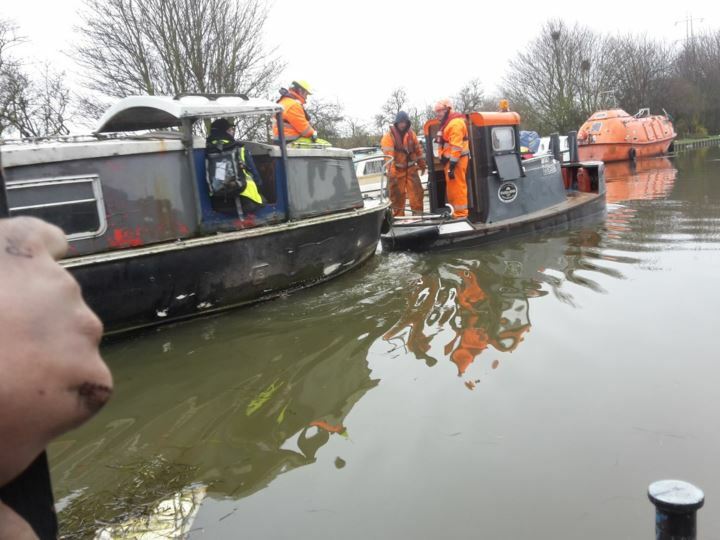 Boaters on the River Lea in London criticised Canal & River Trust’s priorities, preferring to evict a pensioner and yet being extremely slow to clear up the pollution caused by a recent industrial oil spill on the river. In 2014, the NBTA started a campaign to prevent Canal & River Trust evicting disabled, elderly and vulnerable boat dwellers and meet its Equality Act obligations not to discriminate against people on the grounds of disability, age, pregnancy and other grounds. Discrimination includes setting conditions that people cannot comply with due to their old age, disability or other “protected characteristics”.